Paul Fussell, professor, literary scholar, expert on the First and Second World Wars, social historian, and a critic of popular culture, died on May 23rd at age 88. Words frequently used to describe Paul are curmudgeon and stingingly opinionated—I would agree with these words. Paul was not a person who “suffered fools gladly”—or at least those people he considered to be fools. I experienced Paul as a brilliant thinker who was not afraid to make pronouncements—no matter how controversial or politically incorrect they might be. Before “Google” became a verb and provided instant access to information, I knew Paul Fussell was a person who could answer any question about literature. I did not realize he was, as the Washington Post described, a “formidable scholar of 18th-century British literature” and had written books on Augustan Humanism, poetic meter and form, and Samuel Johnson. One day, I was writing a paper and needed to know the source of the line, “But at my back I always hear time’s winged chariot hurrying near” so I called Paul. Harriette answered the phone, and relayed my question to Paul who answered, “Andrew Marvel—from the poem To his Coy Mistress.” I remember the phone conversation vividly because it happened the day before September 11th. When I saw Harriette and Paul two days later at a memorial service for 9/11 victims, I remarked that when we last talked, little did we know things would never be the same again. In 1983, Paul wrote the book Class: A Guide Through the American Status System.” Alison Lurie, a critic, pronounced it in The New York Times Book Review “a shrewd and entertaining commentary on American mores today. Frighteningly acute.” In the book, Fussell lists nine social classes in America and how to determine class by what one wears, how one speaks, and one’s home. Fussell even goes so far as to class flowers—“anyone imagining that just any sort of flowers can be presented in the front of a house without status jeopardy would be wrong” (1983, p. 80). (My sister, an avid gardener, was crushed to learn that petunias are a low-class flower). “The Living-Room Scale” is a quiz Fussell adapted to determine social class by what you have in your living room. Everyone starts with a score of 100 but adds or subtracts points accordingly (hardwood floors—add 4 points; new Oriental rug—subtract 2 points (each); worn Oriental rug—add 5 points (each). At a party, I told Paul how much I enjoyed the book. I jokingly said, because I at the time I had been attending numerous weddings, that one could write a book on social class by weddings. Everyone could start with a score of 100 and add or subtract points accordingly (for a festooned tractor trailer parked in front of an American Legion Hall where the reception is held subtract 4 points—2 for the tractor trailer, 2 for the American Legion Hall). Paul thought it was a great idea. According to one obituary, Fussell was “born into an affluent family” in Pasadena, CA, where his father was a prominent attorney. (If Fussell had been born in Boston, he might have earned extra points on the class scale.) Given Fussell’s family background, education, and profession, I guess he was in the lowest level of the top tier (upper middle) of his class structure. I believe it is easier for someone toward the top of the class structure to make fun of a status system if they are not striving for “upward mobility.” Fussell stated “we’re pretty well stuck for life in the class we’re raised in” (1983, p. 169). Even though my egalitarian nature makes me chafe at this idea, I found the book very funny. 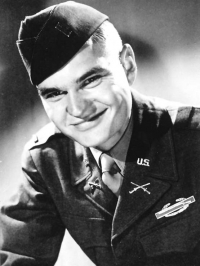 Paul Fussell is best known for his books on war. The award-winning The Great War and Modern Memory, published in 1975 and still ranks No. 75 on the Modern Library’s list of the greatest nonfiction books of the 20th century, states that “every war is ironic” because the means are so disproportionate to its ends. The cynical language people use on the battle lines does not match their governments’ “fatuous” appeals to patriotism. In Wartime: Understanding and Behavior in the Second World War (1989) and his memoir, Doing Battle: The Making of a Skeptic (1996), Fussell drew upon his own experiences at age 20, when he lay wounded in southeastern France while the men he commanded died around him. Fussell was awarded the Bronze Star and two Purple Hearts but he developed a lasting anger and disdain for those who justify or glamorize war—particularly individuals who have never fought. Paul Fussell, curmudgeon and strikingly opinionated, yes! But I think Paul, a unique blend of scholar, historian, and social critic, used this as a delivery style to force us to confront important issues. Most of all, I think Paul was encouraging us to think for ourselves! Fussell, P. (1965). Poetic meter and poetic form. New York: Random House. Fussell, P. (1965). The rhetorical world of Augustan Humanism: Ethics and imagery from Swift to Burke. Oxford: Clarendon Press. Fussell, P. (1971). Samuel Johnson and the life of writing. New York: Harcourt, Brace, Jovanovich. Fussell, P. (1989). Wartime: Understanding and behavior in the second world war. New York: Oxford University Press. Fussell, P. (1991). Bad, or The dumbing of America. New York: Summit Books. Fussell, P. (1992). Class: A guide through the American status system. New York: Simon & Schuster. Fussell, P. (1996). The making of a skeptic. New York: Little Brown and Company. Fussell, P. (2000). The great war and modern memory. Oxford: Oxford University Press. Fussell, P. (2002). Uniforms: Why we are what we wear. Boston: Houghton Mifflin Company.